I have always love coffee, it’s a part of my everyday life and I could never last a day without it and I guess many people would share the same sentiment and desire and knowing that one favorite brand of coffee shop had a vision of protecting the earth create a big impression. Starbucks commitment on helping Mother Earth, begin in a series of process from buying their coffee from Fairtrade movement supporting small –scale farmers which is committed to help communities and a stable climate. Their growing company-owned stores worldwide sets a high standard and commitment of using recyclable and eco-friendly material using the LEED certified green building program to help minimize environmental footprint and waste. With their Starbucks Shared Planet campaign , they aim that by 2015, 100% of their cups will be reusable or recyclable and by that year they will contribute more than 1 million community-service hours per year. They also aims to engage and support 50,000 young people to take action and inspire others to take part in community building and green living ways. Creating a better future for our community begin with a simple step of awareness, by helping people to know that there can be a brighter greener future ahead of us by starting to live a greener life today and using and supporting products and brands that helps our environment. So, next time you visit Starbucks and sip a cup of your favorite coffee, you can smile because you know you have been taking part on the process of helping our environment. 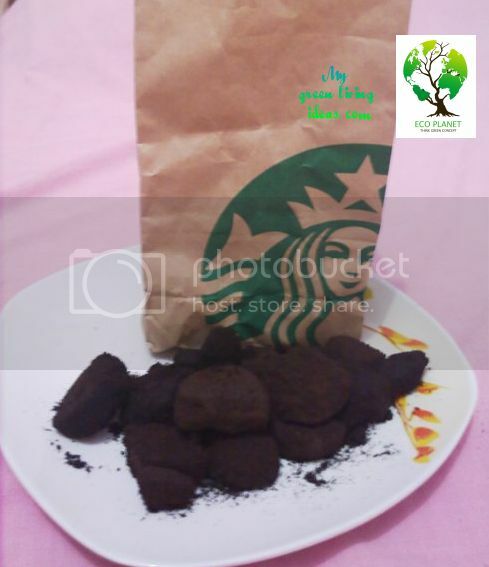 Let your garden grow with Starbuck’s coffee ground. Coffee grounds provide a valuable source of nutrition for your garden and by placing the proper amount depending on the quality of your soil and what you have your in garden. – It can be applied directly in the garden along with other materials as a side dressing for vegetables, roses and other plants. Coffee grounds are high in nitrogen but are also acidic. Adding brown material such as leaves and dried grass to the mulch will help keep a balanced soil pH. – It can as a green material with a carbon-nitrogen (C-N) ratio of 20-1 and they can make an excellent addition to your compost. Combined with browns such as leaves and straw, coffee grounds can generate heat and will speed up the composting process. 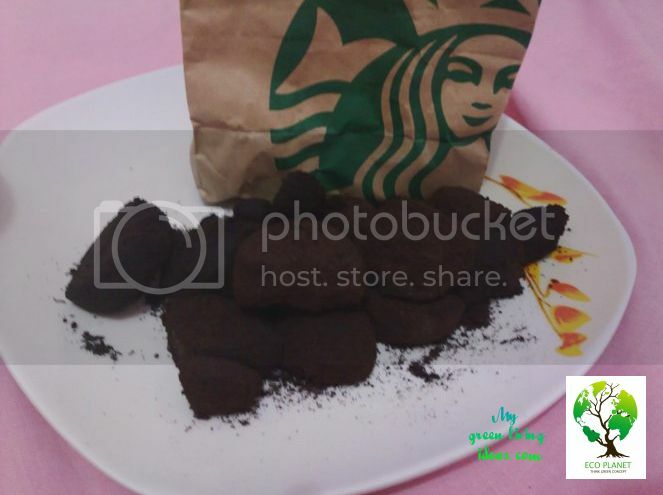 – Using coffee grounds in a worm bin because worms fed with coffee grounds and let it combined with other materials so the soil will flourish. Apply this “green” material as a side dressing to nitrogen-loving plants, including most perennials and allium plants. Balance the nutrition of your soil with “brown” materials such as leaves or dried grass. Combine with “brown” materials in your compost pile. Use grounds within 2-3 weeks of brewing to capture the most nutritional value. To learn about Starbucks Shared Planet campaign, visit their website and take the responsibility today! To get your own coffee ground (green material) ask your friendly Starbucks Barista on your area. and visit other Green Entry. To grab our GREEN MONDAY BADGE click HERE! P.S. (Sorry the badge could not be copy paste anymore, so for the badge just click the link. I have been having problems with content thief, so i decided, i need to protect my content from now on! ) Thanks for understanding. Is Environment-Friendly Drilling Really Possible? wow that is so cool sis! love the way u arrange your bathroom sink. This is awesome! I have never tried this and now I am going to tell my husband to do this. So awesome! that’s why i love Starbucks! even though their products are expensive, it’s worth it naman. was here for bpc! I love green ideas and yours is very practical and doable. Wow, a nature lover! I like your green living ideas. Thanks is the main aim of starbucks talaga to help mother earth. When I go to STarbucks, I always go over their reading materials because I love the fact that they are very concerned with the environment.